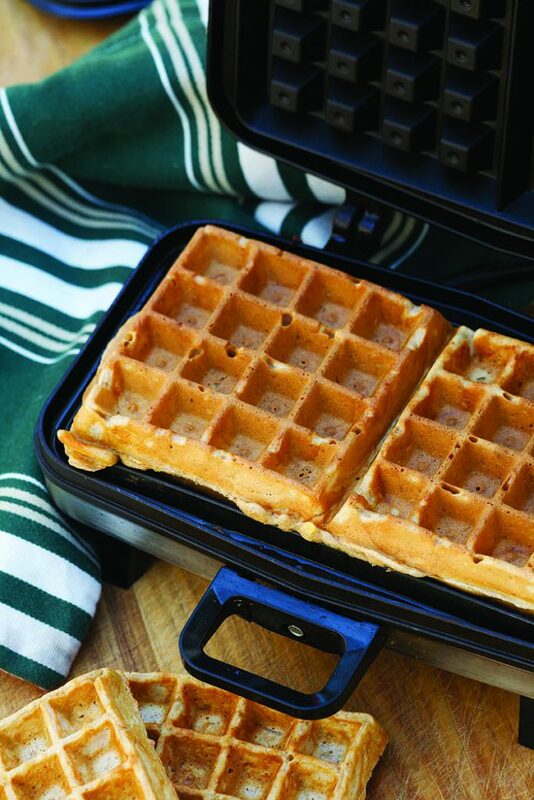 One serving of these red lentil waffles offers 13 g of protein. Make a big batch of waffles and freeze them; on a busy morning pop them into a toaster and voila a heart healthy waffle to start your day. AND: no one will ever know there are red lentils in these light fabulous waffles unless you tell them. This recipe was created by: Trevor Arsenault P.H.Ec.